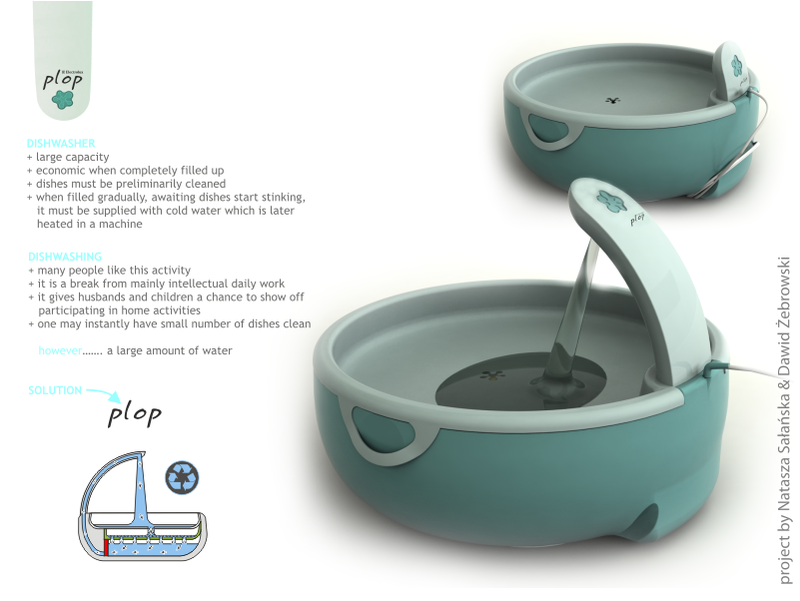 PLOP is a concept device that connects to the positive features of the dishwasher and hand washing. It's concept of reusing water which is lately for weight in gold. It is for people who like to hand wash because it is some kind of ritual. It's ending part of preparing and eating our meals. PLOP is working on filtration and water circulation. 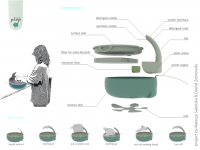 Also is possible to take it for camping or outdoor.